No one likes it when you lose cell signal. Our cell phones have morphed from a way to call people into our lifelines. We use them for everything from making phone calls to paying our bills. So wouldn’t more reliable cell service be a positive thing? Yes and no. 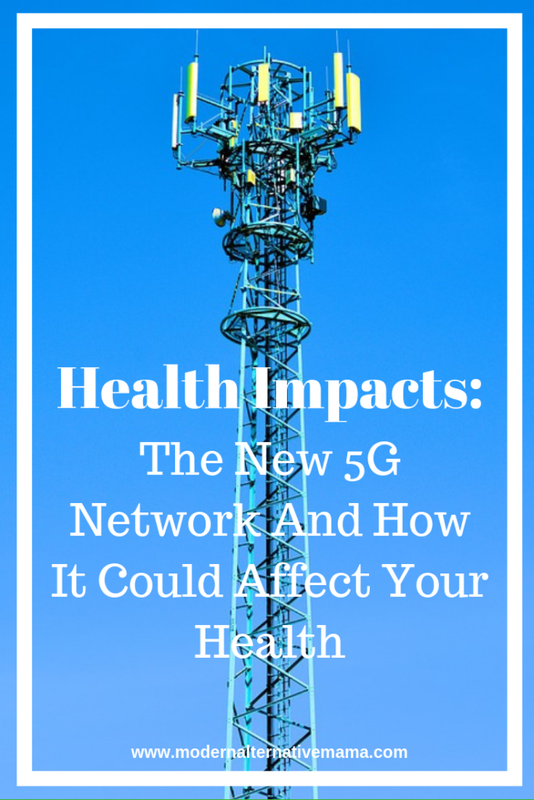 When it comes to the new 5G cell signal strength there are possible health effects we need to consider. But, what is the new 5G network and how could having it in place affect your health? Excuse me while I get a little techy on you for a minute. Some basic info is needed in order to get the big picture. As cell service technology has evolved so has the strength and type of signal that is emitted by cell towers. We’ve known this as 1G, 2G, 3G, 4G (currently in use), and now 5G that is being implemented. The G in 5G means generation, or fifth-generation cellular wireless. Each generation is characterized by different encoding methods and uses different wavelengths, and each is incompatible with the next. 1G cell technology used an analog system which was slow and clunky, and then each generation got progressively faster and more reliable. Currently, we’re using 4G LTE which is gigabytes faster than previous generations. 5G promises to be faster and more reliable, but at what cost? 5G technologies will use a different type of wavelength than the current 4G network uses. 5G will use shorter but more intense frequencies of 30-300 GHz, where 4G uses only 6 GHz. This will mean more transmission towers will need to be built in order to ensure smooth coverage. More towers will mean that there will be an increase in radiation in our environment that we’re exposed to on a constant basis. 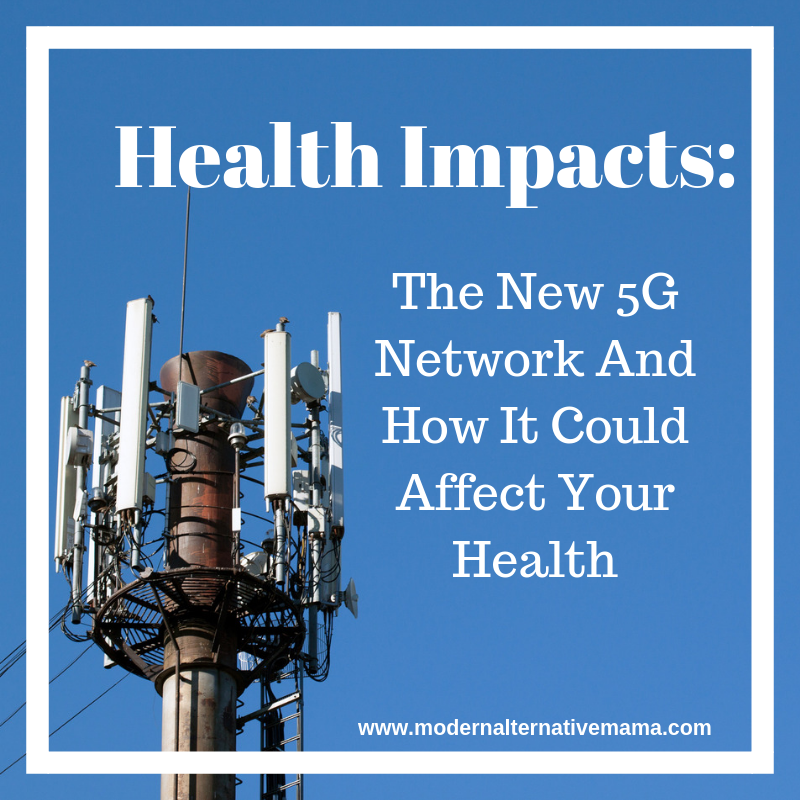 There is concern about how the new 5G network will affect our health, just as there has been with the previous networks, radiation from microwaves, and other radiation we encounter. This radiation is called Electromagnetic Frequency exposure or EMF for short. People suffering from EMF sensitivity can be affected negatively in many ways. This video was very helpful for me when I first began researching the possible negative health impacts of the new 5G network. I liked that it was lead by a person who has a Doctorate in Physics. There are some people who would say that these symptoms could be linked to many other health conditions. Or worse, they could say that these people are suffering from delusional mental health issues. But there are large numbers of people who have sought relief from their symptoms by living in “dead zones” where cell service does not exist. Ironically, these communities tend to form near certain military bases where cell service is not allowed. Completely avoiding all cell signals and other radiation is going to be nearly impossible in our modern culture. But there are a few things you can do to help reduce your exposure to EMFs. Turn the location services off to your phone. This will reduce the number of times your cell phone searches for a signal to locate where you currently are. Don’t carry your phone in your pocket or bra. Put your phone in airplane mode at night. Turn off your modem at night. Do not hang out near where the main power comes into your house is located, or where the meter is on your home. Use EMF blocking phone cases. Purchase grounding mats for your bed when you sleep at night. Don’t live within a few miles from the nearest cell phone tower. Avoid medical exposure to X-Rays, MRIs, and CT Scans unless it is an emergency. Unplug all appliances unless in use. Get rid of your microwave. Replace all CFL light bulbs with regular light bulbs. Don’t use devices like Apple Watches, FitBits, or Alexa since these devices are constantly looking for and emitting signals constantly. Many prominent highly educated professionals have warned against the implementation of 5G in our everyday life. But will our hunger for faster and better outweigh the possible risks? It seems as though the implementation of 5G will go ahead without proper studies on the risks. You could voice your concerns to your local political office and ask them not to allow 5G networks to be installed in your community. If we use our collective voices to make our concerns known changes might take place in policies that control things like this. Do you have concerns about the new 5G network? Do you use any EMF blocking technologies to block radiation exposure? I am so thankful to you for sharing this information. Many of my clients are affected by EMF and learning to adapt to an entirely new way of living. It definitely takes some habit changing to get used to living with EMFs! I’m glad they have a knowledgeable person to help guide them through it! I’ve been wanting to learn more about 5G. Thanks for sharing!